I should write something here about Bacchus — the god of wine, winemaking, the grape harvest, and all those good things from Greek mythology. But frankly I’m a bit hung over. 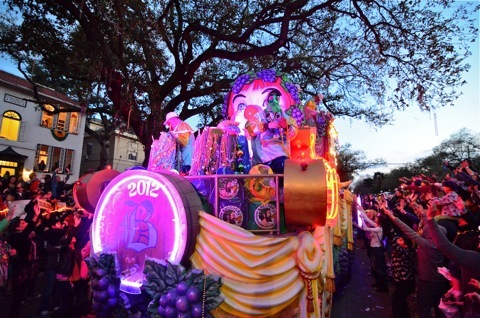 Just suffice it to say the Krewe of Bacchus, founded in 1968, puts on a heck of a parade. 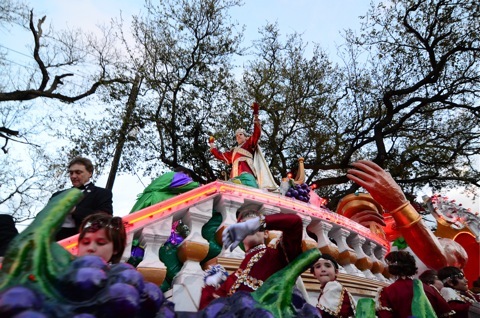 This year’s theme, “Bacchus salutes the Louisiana bicentennial,” with Will Ferrell as Bacchus XLIV, maintained the tradition — 32 spectacular floats and “over thirty of the finest and most powerful marching bands seen anywhere in Mardi Gras,” according to the Bacchus website. Hail Bacchus, and pass the hangover medicine! 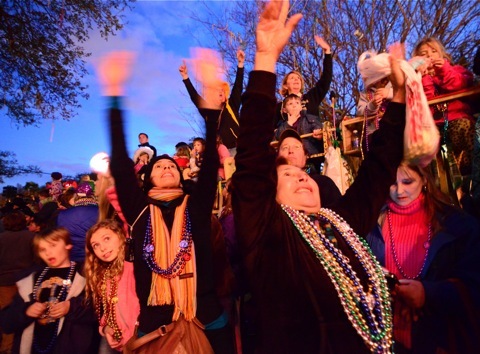 Glen Abbott is a New Orleans-based freelance travel writer/photographer. Visit his blog at www.TravelinGringo.com.